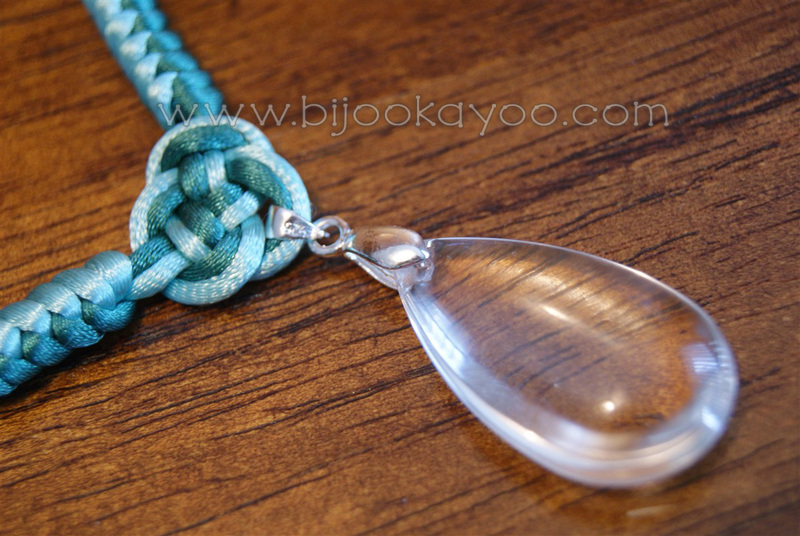 I really like working with crystal clear teardrops pendant as they can go with a any color. For this necklace, I wanted a thicker chain than usual and, as I really like the structure of the snake knots, I opted for this one. I really like the ‘chic’ touch, without being too much, of this necklace. 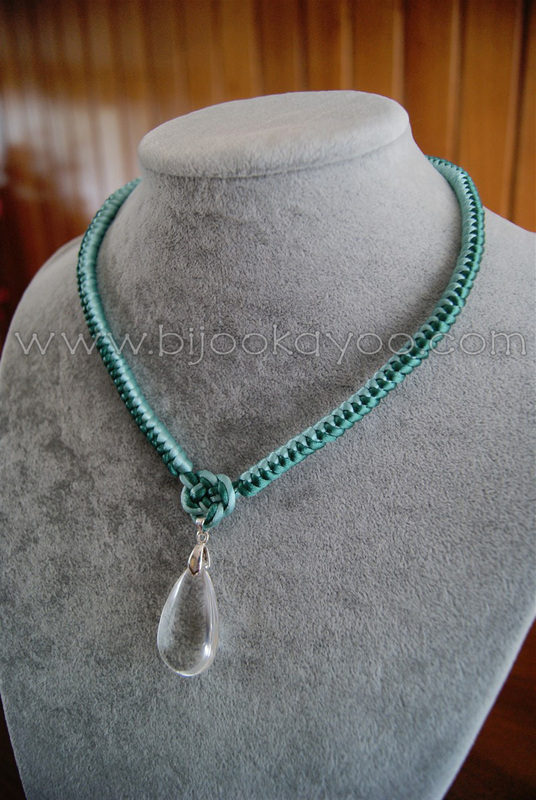 This necklace is made of two 2mm satin cords, a sea green one and an aqua one, and a crystal clear teardrop pendant fixed by a 925 silver pinch clasp. It features a Double Coin knot in the center, and a Snake knot on each side as the chain. Each knot has a meaning in the Chinese culture. Thus, as the shape of the Double Coin knot, or Friendship knot, represents two overlapping antique coins, it symbolizes great prosperity and long life. As for the Snake knot, like the animal in the Chinese horoscope, it will bring you good fortune. 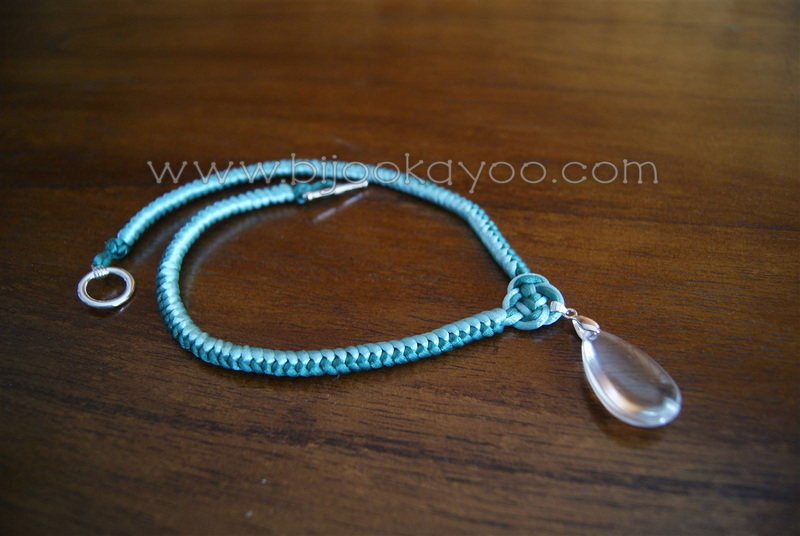 Posted in NecklacesTagged 925, aqua, bead, chinese, clear, coin, cord, crystal, double coin, glass, green, knot, metal, necklace, pendant, satin, sea, silver, snake, teardropBookmark the permalink.